What's the big deal with Estate Taxes? What’s the big deal with Estate Taxes? Earlier today, President Trump signed into law the Tax Cuts and Jobs Act of 2017, capping one of the most significant tax overhauls in the last 30 years. One of the items sure to generate conversation is the changes made to estate taxes. Before we review the changes made to the estate tax, let’s look back at the previous state of the estate tax. Prior to the passage of the 2017 Act, the last major estate tax change occurred in 2012. Toward the end of 2012, Congress passed the American Taxpayer Relief Act (ATRA). It was signed into law by then-President Obama on January 2, 2013. 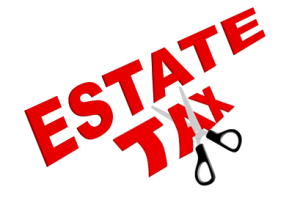 ATRA amended the prior laws regarding estate taxes and set the estate tax rate at 40%. However, the 40% tax rate was only applicable to individuals who, at their death, sought to pass assets in excess of $5,000,000. So, while a 40% tax rate was high, a minimal number of individuals were affected. To go even further, ATRA included an inflation-protection rider, further increasing the exemption level with each passing year. In 2018, the exemption level was set to increase to $5,600,000. This means, under ATRA, an individual who died in 2018 could leave $5,600,000 to any number of individuals, charities, etc. without having to pay a single penny in estate taxes. For a married couple, the ATRA rules allow a virtual doubling of the estate tax exemption level, provided the proper tax forms are timely filed. In essence, this would have allowed both spouses, cumulatively, to transfer up to $11,200,000, without triggering any estate taxes in 2018. Now let’s review the Tax Cuts and Jobs Act of 2017. With the signing of the 2017 Act, the estate tax exemption is doubled (currently, for years 2018-2025). This means that where before an individual could exempt $5,600,000, an individual can now shelter $11,200,000 from any estate taxes. For a married couple, properly utilizing the exemption rules, the exemption is doubled to $22,400,000. If no further action is taken by Congress prior to 2025, the exemption amounts will revert to the previous ATRA levels. With such a high exemption level, only about 0.3% of the population needed to worry about estate taxes under ATRA (and now it is even less, with the exemption doubling),. This does not mean though that the other 99.7% of the population does not need to complete their estate plan. Instead of focusing on estate tax avoidance, we can now examine your personal goals and how to protect your assets and your family. This includes protecting assets from beneficiaries, avoiding the probate process, and ensuring a smooth passing of your assets to your chosen beneficiaries. If you’d like to ensure that you maximize the resources available to your loved ones and keep your family out of Court and out of conflict, schedule a Family Life and Legacy Planning Session.™ We can review your existing plan and help you make adjustments, while achieving your personal goals. This article is a service of The Estate Planning Group and Davidson Law Office, LLP, your Life & Legacy Planning Lawyers, who believe in developing trusting relationships with families for life. We don’t just draft documents, we ensure you make informed and empowered decisions about life and death, for yourself and the people you love.